OPPORTUNITY, OPPORTUNITY, OPPORTUNITY!!! 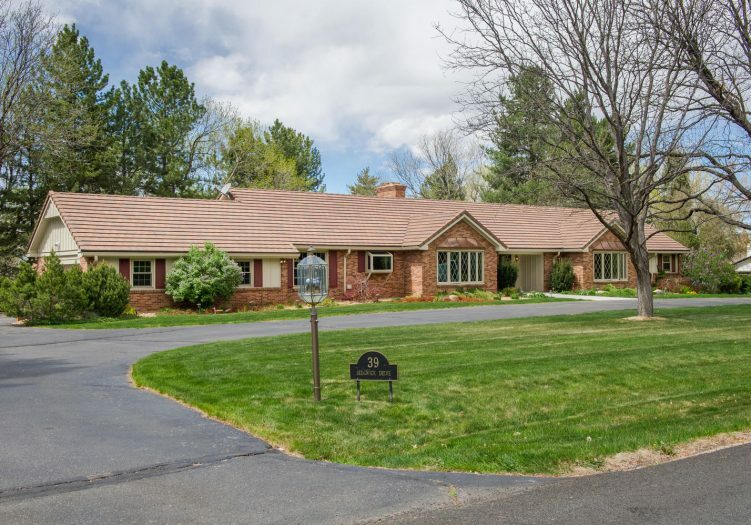 Beautiful Devonshire Heights brick ranch home with NEW ROOF, NEW WINDOWS and walkout full basement that opens to a lovely fenced pool and hot tub. Hardwood floors throughout the main floor. Well maintained with great bones, just ready for your dreams and special touch! Main floor master bedroom, large beamed family room with stone fireplace, wet bar and private study opens to covered terrace. 3 spacious bedrooms up and 2 down, large 1 acre yard with beautiful trees and circular driveway. This incredible private neighborhood has many fabulous $$$$$ renovations that have become magazine homes. Adjacent homes are all beautifully renovated. Convenient location close to the Highline Canal trail and award winning schools, Cherry Hills Village Elementary, West Middle and Cherry Creek High School.